Nginx 1.13.8 32-bit and 64-bit builds for Windows are now available for free download. As usual, packages were built using the upstream mainline branch’s source code. “Engine x” is a high performance web server. It is also a caching proxy and a Layer 7 load balancing solution. Millions of web sites on the Internet use and benefit from Nginx while offering extreme performance, scalability, reliability, flexibility, and security. Note: these builds were built with older versions of OpenSSL. SSL/TLS is NOT recommended for use. USE AT YOUR OWN RISK. Using http only is recommended. Nginx 1.13.7 32-bit and 64-bit builds for Windows are now available for free download. Nginx 1.12.2 for Windows (32-bit and 64-bit builds) are now available for free download. As always, packages are built from the upstream stable branch. Nginx (pronounced “engine x”) is a high performance web server, caching proxy and a Layer 7 load balancing solution. Millions of web sites on the Internet use and benefit from Nginx because of its extreme performance, scalability, reliability, flexibility, and security. Note: these builds are built with older versions of OpenSSL and therefore SSL/TLS is NOT recommended for use. USE AT YOUR OWN RISK. Using http only is recommended. 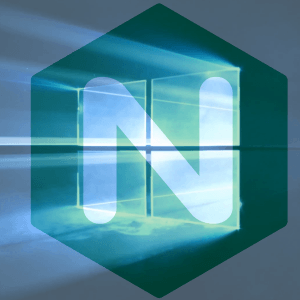 Nginx 1.13.6 32-bit and 64-bit builds for Windows are now available for free download. Nginx 1.13.5 32-bit and 64-bit builds for Windows are now available for free download. Nginx 1.13.4 32-bit and 64-bit builds for Windows are now available for free download. Let’s Fix Gmail using these 6 additional tips and tricks. First, some history. A while back, I wrote an article called 5 Tips to Fix Gmail Slow Load Issues. Since then, it’s become one of the most visited article on this site, with the majority of the traffic coming from Google searches. Due to the popularity of that article, I have decided to expand on this topic and bring 6 more tips to help speed up and Fix Gmail. Reduce the number of experimental “Gmail Labs” settings that you have enabled. Decrease the number of browser extensions or plugins. Take advantage of a third-party email client, such as Thunderbird. Consequently, you can get a more in-depth explanations of the above 5 point by reviewing the original article. Add the ?nocheckbrowser argument to the URL: https://mail.google.com/gmail?nocheckbrowser. This is an extremely easy and effective hack that makes a dramatic difference to the initial page load. Disable the experimental labs features. This is much like point number 1 from my previous article, but can be very useful. Adding the ?labs=0 argument to the URL can help you get back to a usable Gmail window. Think of it as an ejector seat for Labs. This is a shortcut step to disabling features one by one, as explained previously. Disable chat. Scroll to the bottom of the screen and click the “standard without chat” text link in the footer. Bonus: if you never use chat, take it one step further and disable the chat history feature on the settings menu under the “chat” tab. Show fewer messages. Reduce the number of ‘conversations’ shown on each page by adjusting the ‘maximum page size’ option to “25” under “General” settings. It should say: “Maximum page size: Show 25 conversations per page.” This will get Gmail ready faster. Remove the Skype Add-on. If you are a Skype user and are running Firefox 3.5 with the Skype add-on, it is known to causes sluggishness. Remove the add-on, and you will see a speed improvement. Please note that other extensions/add-ons/plug-ins can cause speed issues, but the Skype add-on using Firefox 3.5+ is a known issue by many, so it’s a great one to start with. Clear your browser’s cache. Sometimes the simplest thing works wonders. A stale browser cache may leave some unnecessary remnants behind. Flush the browser cache and start with a clean slate. Most browsers have this in the “Options” or “Preferences” menu. In conclusion, these tips should help you to increase Gmail load times and make the transition time between folders faster. If you have any other tips to share, please leave a comment. 1. Gmail slow? Decrease the number of experimental “Gmail Labs” settings that you have enabled. Try enabling only the features that you really need. You can do this safely and effectively by disabling all the Gmail Labs features, testing the speed, enabling one feature, and then re-testing the speed. Repeat this until a slowdown occurs. You will know which Labs feature is the culprit and you can disable it to avoid slowness. If you are running Firefox with extensions installed, your memory usage may be particularly high. Follow the procedure much like in the first tip above: disable all extensions, test the browser speed, enable one extension, re-test the speed, and repeat ad nauseam as necessary. Once a slowdown occurs the extension causing the problem will be known. Then disable that extension, and add others as needed. Note that this is more time-consuming than the “Gmail Labs” tip above. HTML mode is very quick way to browse, but unfortunately you sacrifice some of the AJAX-driven features and niceties. The most noticeable difference besides increased speed is that the browser has to refresh more often. Despite this, HTML mode is usually faster. Originally intended for mobile devices, mobile mode works quickly and easily from a standard web browser. It’s a no-frills way to get into Gmail, read through your messages, and get out. This mode works perfectly – it’s no nonsense and means business. If you use an iPhone 4 and experience email problems, read this article about how to Fix the iOS 4 Email Problem. I am confident that at least one of the above options will work for you to speed up Gmail load times, but if you don’t like those tips you can use a different email client to access Gmail. Thunderbird is an excellent email client that works on Windows, Mac OS X, and Linux. Enable the IMAP/POP settings within Gmail, set up the Gmail POP/IMAP settings within Thunderbird, and then use Thunderbird to fetch, read, and send email. While this works fine, the principle drawback of this method is that you have to be using the computer where Thunderbird is installed. Once you are at another computer or mobile device, tip number three or four become quite useful. *UPDATE*: See the follow-up article 6 More Tips to Fix Slow Load Issues. I hope these tips help you to increase Gmail load times and make the transition time between folders faster. If you have any other tips to share, please leave a comment. For more tech tips, tricks, help, and announcements, Subscribe to my RSS feed and follow me on Twitter. Nginx 1.12.1 for Windows (32-bit and 64-bit builds) are now available for free download. As always, packages are built from the upstream stable branch. Nginx (pronounced “engine x”) is a high performance web server, caching proxy and a Layer 7 load balancing solution. Millions of web sites on the Internet use and benefit from Nginx because of its extreme performance, scalability, reliability, flexibility, and security. Nginx 1.13.3 32-bit and 64-bit builds for Windows are now available for free download. As usual, packages were built using the upstream mainline branch’s source code. “Engine x” is a high performance web server, caching proxy and a Layer 7 load balancing solution. Also, millions of web sites on the Internet use and benefit from Nginx while offering extreme performance, scalability, reliability, flexibility, and security. If you are interested in hiring me for a project, please head over to my business site: KEVINDUSTRIES. I am taking on new projects now, so please fill out a Service Request.